DuoLife brand has received many awards. Check out the following prizes and awards which confirm the top quality and effectiveness of our products. The program created in order to support and aspire the entrepreneurs who are interested in adjusting their products, service, and processing lines to high ecological standards applicable in the EU. It is a very important pro-ecological program which constantly promotes the entrepreneurs involved in the issue of ecological safety of the products. It is addressed to the entrepreneurs who follow the ecological rules in the production process, and their products are of the highest quality. It is confirmed to the customer that the products and services awarded with this certificate are manufactured in an environmentally friendly manner. 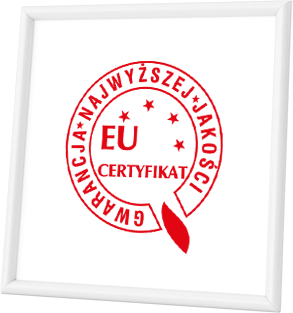 Highest Quality Guarantee Certificate is one of the most prestigious programmes based on the EU new directives concerning the quality systems, ISO standards, management and quality systems procedures. Highest Quality Guarantee Certificate awarded to DuoLife Company is a recognition of the solid and reliable partners in business relationship and customer-friendly companies. Awarded with Highest Quality Guarantee Certificate, DuoLife Company is recognised as the entrepreneur which is modern and competitive both on national and international markets. A company may be awarded with this certificate on condition that no production and processing stage involves the application of genetically modified ingredients, and when an end product is GMO-free. 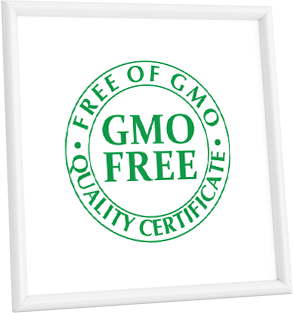 GMO FREE - QUALITY CERTIFICATE program is an objective proof that the products are 100% free of genetically modified ingredients. 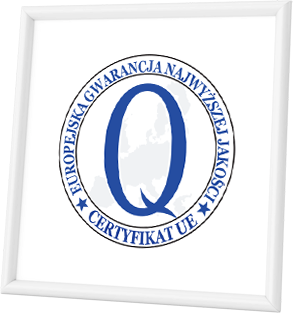 European Guarantee of Top Quality Certificate is one of the most prestigious programs based on the EU new directives concerning quality systems, ISO standards, and the procedures concerning management and quality systems. European Guarantee of Top Quality Certificate’s winner is a modern and competitive entrepreneur, present both on the national and international trade markets. 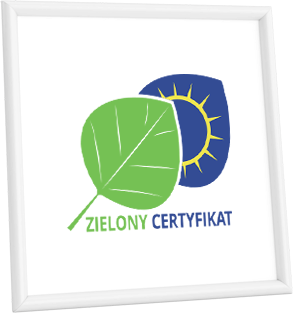 The logo of Safety Certificate, awarded in unbiased and reliable certification process, carried out by highly qualified auditors. 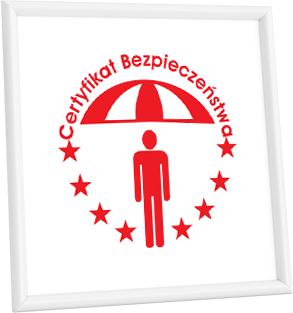 Safety Certificate and European Safety Certificate are the expression of people’s trust in the institution which protects their lives and possessions, and the expression of the customers’ trust in a producer or service provider, and they manifest this trust by purchasing a product or service. 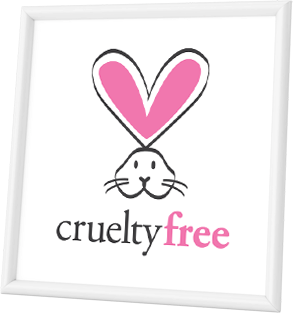 Products approved by PETA as the “cruelty-free” are the brands which are entered on the reliable list of companies which do not carry out tests on animals. People for the Ethical Treatment of Animals (PETA) is the international non-profit organization and the biggest global animal rights unit. The official presence of DuoLife company among the listed Cruelty-Free brands is another confirmation that the company is 100% nature-friendly. 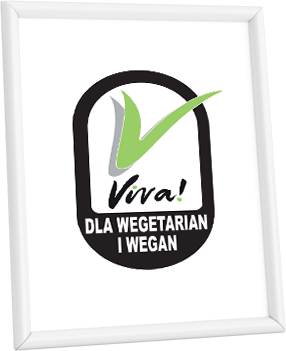 In the scope of its operations, Viva Foundation certifies vegan products by awarding them the V mark. Awarding the V mark is a confirmation that the product does not contain animal or animal-derived ingredients, and it does not contain palm oil. In addition, it guarantees that the products are not tested on animals. 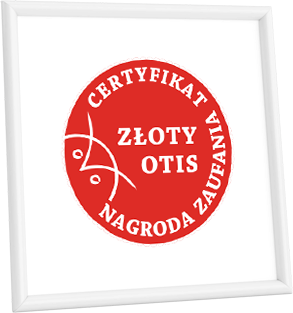 The "Good Product" certificate is awarded to food products that demonstrate high quality, innovation or tradition and are based on a regional recipe. The competition is run by the editorial staff of portalspozywczy.pl, dlahandlu.pl and Polish Trade and Distribution Organization. 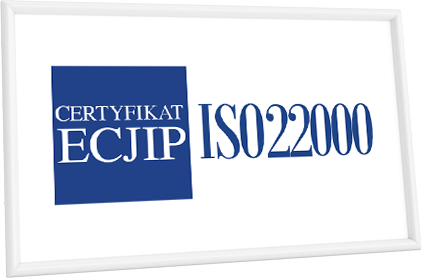 European Centre of Quality and Promotion Certificate ISO 22000 is awarded in an unbiased and reliable certification process carried out by highly qualified auditors. Such an award implies that the DuoLife products, when used according to the principles connected with dietary supplements, support human life and health. The purpose of the programmes tailored by the European Centre of Quality and Promotion is to select the elite of companies which offer products and services of the highest quality on the European Union market, the companies which stand out as the ones with pro-environmental and health-oriented activities and the companies which guarantee high safety standards. 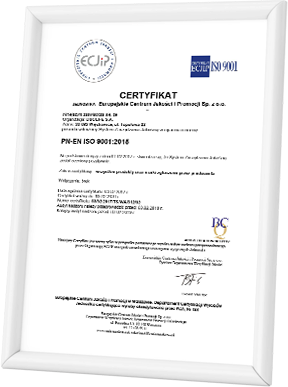 European Centre of Quality and Promotion Certificate ISO 9001 is the international recognition of the best organised quality management systems in an organization. The companies awarded with this prestigious certificate have to meet eight strict standards, including: Customer focus, effective Management which gives the development its appropriate direction, great commitment of the people who build an organisation, suitable and systemic approach, high quality of the realised processes, analytical attitude towards the decisions to be made, creating beneficial relationship with the material and service suppliers, and continual organisation improvement with an aim to realize effective processes. SPA Prestige Awards 2017, the organizer of the most prestigious contests in the SPA & WELLNESS business, awarded DuoLife Collagen with the recommendation as the top-quality product fulfilling all customers’ expectations and the leading supplement from the trustworthy brand. 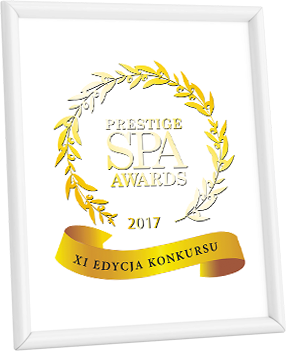 Recommendation granted by the SPA Prestige Awards 2017 commission is reliable information to all beauty salons, beauticians, hotels, SPA salons and aesthetic medicine clinics whose customers value the highest quality service and products. DuoLife Collagen has been valued for its unique formula based exclusively on natural, certified ingredients. 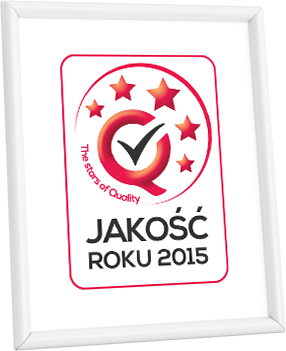 The most prestigious contest in pharmaceutical and medical industry in Poland. The Chapter of Golden Otis Trust Award Institute awards the companies and products which particularly deserve recognition because of their actions, quality and efficiency of the products offered to their customers. The fact that DuoLife products were awarded with the Certificate of Golden Otis Trust Award proves the popularity and recognition of the brand both on the wellness market, and among some of the most demanding representatives of medical and pharmaceutical industry. The official Quality of the Year statuette is awarded during the Congress, attended by 600 participants. It is the only event of such prestige in Poland and it gathers business, science and government representatives. DuoLife was presented with this award in 2015, confirming its firm position on the market as the provider of the highest quality products. Polish President Andrzej Duda, sent an official letter in which he congratulates the awarded companies and appreciates their contribution in economy and values they represent. The Quality of the Year is one of the most prestigious awards. 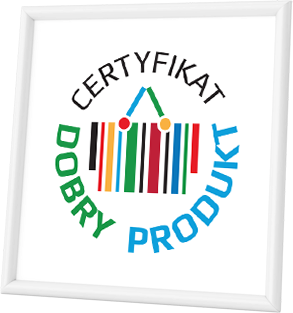 The most prestigious Polish consumers choice award, in which every year the most popular brands and products are recognized in several categories. 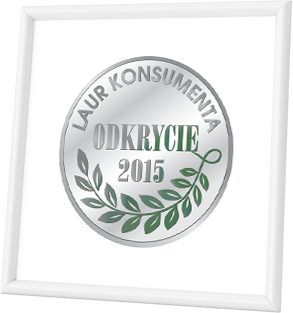 DuoLife received the Consumer Laurel award given in the category of the Discovery of the Year 2015 for one of the most popular and widely appreciated products on the Polish market. This award is yet another evidence of the consumers trust in this brand.